Vending management does not immediately resonate in the minds of most people as would other, more familiar B2B procurement solutions. The sourcing of raw materials and indirect spend categories such as facility maintenance are far more recognizable. Vending machine services just aren't typically of grave concern to most organizations. At least not at the corporate level. But should they be? 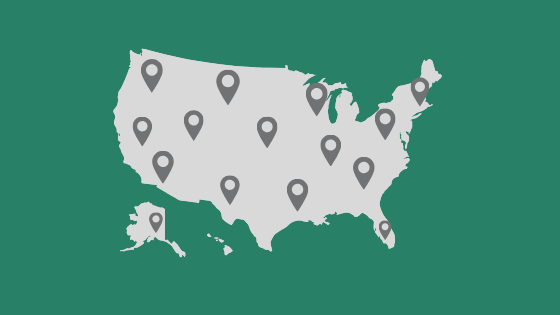 For companies with multiple locations nationwide, consistency is important for keeping every property or store in line with your overall objectives. Each location manager needs to stay focused on more important issues to reach company goals. Vending machines are usually low on the list of priorities, but they can occasionally throw managers off course. That's where vending management comes in. Put simply, vending management is the consolidation of vending services for multiple locations into a national account. It helps companies maintain consistent service for each property while taking the burden of dealing with vending issues out of site manager’s hands. So if your organization is currently not taking advantage of vending management, here are four reasons to consider it. A vending machine issue at one location can steal some time away from that property manager for a day or so. But multiply that by dozens or hundreds of locations and suddenly there's a bigger, company-wide problem at hand. A lot of time gets spent handling vending machines rather than working towards important goals. A vending management program eliminates that problem. How much revenue does each vending machine generate? Are suppliers paying on time? Where is all the revenue going? These are questions that can easily be answered when using a vending management service. A small amount of commission for one property might seem trivial, but multiply it by dozens or hundreds of locations and all that loose change adds up to a more meaningful sum. As mentioned earlier, consistency helps keep operations running smoothly. A vending management program provides everyone in your organization—from corporate to location staff—a single point of contact. Even customers at your properties can report issues directly to your vending management company. At Vending Group, we pride ourselves on exceptional customer service and are sure to answer every call and respond to every email quickly. There's always a certain degree of risk involved with onsite vendors. Liabilities come in many ways, even with vending machines services. A good vending management program helps reduce that risk through proper insurance oversight. Additionally, vending management services maintain a network of preferred suppliers that have been vetted and are trustworthy and reliable.